On the 20th of October the 13th Procurement Management Conference (Ostujuhtimise Konverents) took place in Tallinn, Estonia where representatives from different companies and with various experience shared their knowledge and good practices. 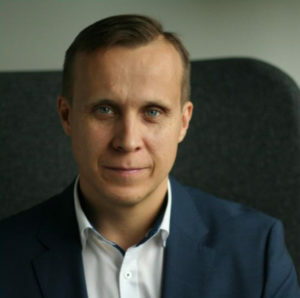 Among those participants was Ivar-Illimar Ots, the CEO of berryBI who has been practicing BI analytics for more than 15 years and has led BI projects in several biggest companies in Estonia. The aim of his presentation was to highlight the importance of suitable and modern analytical tools as well as to demonstrate the development of analytics, starting from the use of a simple calculator and a piece of paper up to advantages of using artificial intelligence in the nearest future. In his presentation he pointed out the importance of collaboration between the business and the IT and acquiring the unified dataset throughout the whole organization. According to Ivar-Illimar’s words if the database is integrated and consolidated, the whole reporting will become quicker and it would be more efficient to collect data history. In his speech berryBI CEO emphasized the importance of visualizing information. Taking into consideration current BI tools’ capabilities this doesn’t seem an impossible task to create visual and real-time dashboards. By means of which management will be able to watch the business trends and company’s employees will be able to track their working progress and stretch more to reach the targeted KPI’s. BerryBI CEO shared some tips on assessing the BI tools. He advises to evaluate the options for implementation – it should be quick and hassle-free. Availability of modelling, predictive analysis and data visualization opportunities within the same program is also strongly recommended. Taking into consideration General Data Protection Regulation that starts to be effective as of 25th of May 2018, data security and logging the data access should also be provided. It is preferable to choose widely used programs as it is easier then to find support on the Internet or search advice from other companies who have already got experience with it. 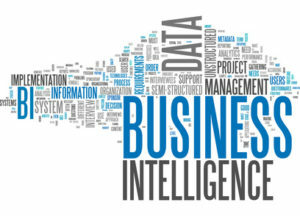 Selecting the most suitable BI tool may be a challenging assignment both for small companies and for big corporations. So, why wouldn’t you use the help of a professional, who will analyze the business, explore the opportunities and, finally, help with implementation and integration? If you are considering this option Ivar-Illimar and his team will be happy to assist you with BI analytics. BerryBI – cherry on your datacake!